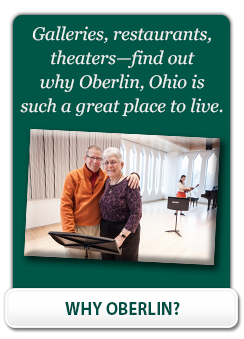 As soon as they opened the door to the Kendal at Oberlin woodshop, it was evident that they were in their comfort zone. This is not the kind of place where most 12 and 14year olds like to hang out. Eddie and Charlotte have a special connection here. They are the grandchildren of Kendal residents, Jim and Anne Helm. Jim, who can fix or build just about anything, passed the art of woodworking on to his son Paul, the father of Eddie and Charlotte, and now to the next generation. It’s a lovely summer day that finds Eddie, Charlotte, their mother Tracey, Jim and Anne in the woodshop. Eddie and Charlotte both have projects that are near completion. Eddie and Charlotte’s familiarity shows as they go directly to the tools they need. They are both adept at using a table saw, band saw, hack saw, drill press and routers…pretty impressive! Eddie is in the process of building a tool box. He has built the base, and now it is on to building the lid. He is confident and focused as he chooses a piece of wood and carefully measures where the cut should be. With his grandfather overseeing, Eddie moves to the table saw where he methodically makes the cut, lines the lid up on the base and drills holes for attachment. Jim has taught him well. While Eddie is working on his tool box, Charlotte is finishing up a detailed shelving project. She has cleverly designed the vertical curio shelf, with the guidance of her grandfather, using the letters of the word ‘LOVE’. The large three dimensional wood letters, which Charlotte has made, are stacked in a zigzag formation, which appears to be floating. It really is a creation both utilitarian and a work of art. Another project was truly a family affair including three generations, with Jim, Paul and the children taking part in the design and building of a “Little Free Library” house. Little Free Libraries are found outdoors throughout the country in places where children can easily access them. There are no due dates and books are donated. The library house was built to dimensions of 1 foot long and 2 feet tall. It has two stories, allowing for two shelves of books. After the house was built, Charlotte’s Girl Scout Troop painted and decorated the house with bright colors and stars. It is definitely eye-catching. The Girl Scout troop then stocked the Little Free Library with books and donated it to the Evening Street Elementary School in Worthington, Ohio. This is much more than teaching children new skills. It’s really about genuine intergenerational connections. It is clear that Eddie and Charlotte love being with their grandparents, and the warm smiles of Jim and Anne say the rest.